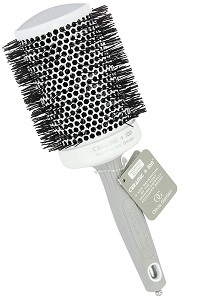 This Ceramic + Ion Round Tourmaline Brush is from the Olivia Garden Round Thermal Collection. The size is 3 1/2 inches. The newest generation of the most advanced professional brush with a sleeker & lighter unique seamless design.